Milwaukee Bucks: Can second round pick Doron Lamb follow in Michael Redd’s footsteps? With their second round pick in the draft, the Bucks selected University of Kentucky shooting guard Doron Lamb. The Bucks have generally received favorable marks for their selection of the 6-foot-4 Lamb. 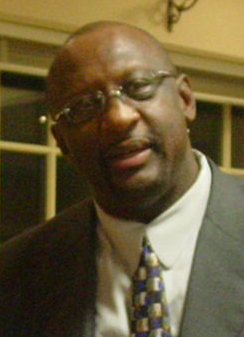 In reading some of the comments about the pick, statements like “terrific outside shooter” and “serious scoring threat” have been used to describe Lamb. For the Bucks, the question is, can Lamb become a solid contributor for the team in his rookie season? The team would most definitely like to see Lamb have the success that another second round shooting guard had with the Bucks in recent history… Michael Redd. Redd was the 43rd overall pick (14th pick in the second round) in the 2000 draft who went on to score 11,554 in a Bucks uniform (fourth on the all-time scoring list). 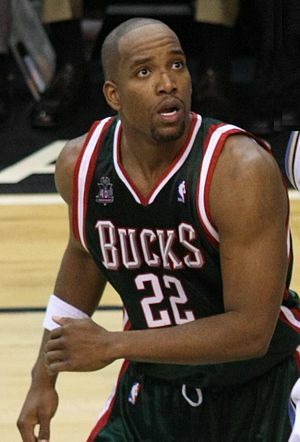 Of all the players drafted by the Bucks in the second round since 1989 (when the NBA went to a two-round draft), Redd has played the most games for the Bucks. In addition to Redd, the Bucks have also gotten solid contributions from another pair of second-round draft choices, Ersan Ilyasova and Luc Mbah a Moute. Following are the Bucks second-round draft picks since 1989 who played the most games in a Bucks uniform in their career. NBA Playoffs: Don’t shoot the ball! Imagine playing a pickup basketball game with your buddies at the local gym or playground. What would you say if you played for 15 minutes and never got a chance to shoot the ball? You might be a little upset, right? In the NBA, there are a handful of players who seem to spend quite a few minutes on the floor but never shoot the ball. Whether it’s their own choosing (or instructions from the bench), these players have logged minutes without a FGA (field goals attempted) next to their names in the box score. 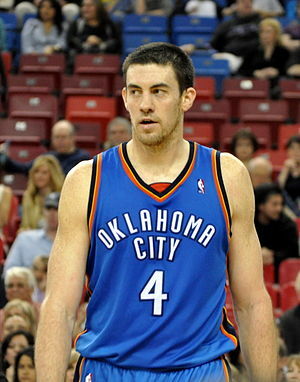 In Thursday’s Game 2 of the NBA Finals, Oklahoma City’s Nick Collison became the 11th player since 1985 to play 15 or more minutes in an NBA Finals game without taking a shot. Collison did collect three rebounds in the contest. The Miami Heat also have a player who seems to fit this bill: Joel Anthony. Although he did not play in Thursday’s Game 2, Anthony did log a couple of minutes of court time in Game 1 without taking a shot. It was in last year’s NBA Finals against the Dallas Mavericks, however, that Anthony played 27 minutes in Game 2 and did not take a shot. His 27 minutes played without taking a shot tops that list since 1985 in the NBA Finals. Here’s a look at the players who logged 15 or more minutes in an NBA Finals game since 1985 without taking a shot. * Jones did score two points in the game when he made a pair of free throws. The others on the list did not score. Collison is one of six players in this year’s playoffs who has logged 15 or more minutes without taking a shot. Thursday’s game was his second such game this playoffs. The others who had a “0” next to their name in FGA in the box score in these playoffs: Jordan Hill (L.A. Lakers, May 18, 19 minutes), Reggie Evans (L.A. Clippers, May 13, 19 minutes; May 2, 16 minutes), DeAndre Jordan (L.A. Clippers, May 9, 19 minutes; May 5, 18 minutes), Joel Anthony (Miami, April 30, 18 minutes; April 28, 18 minutes), Chris Duhon (Orlando, May 2, 16 minutes), Nick Collison (OKC, April 28, 15 minutes; June 15, 15 minutes). According to Basketball-Reference.com, three players since 1985 have played over 40 minutes in an NBA game and never shot the ball. Ben Wallace accomplished this rare feat on March 31, 2007 when he played 48 minutes without a FGA for the Chicago Bulls against the Cleveland Cavaliers (he did score two points on a pair of free throws and collect 12 rebounds). 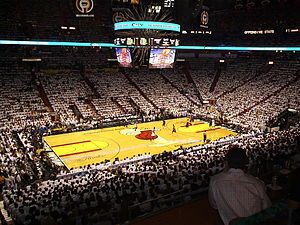 The aforementioned Joel Anthony logged 43 minutes in a January 18, 2011 game for the Heat against Atlanta without a FGA (he did, however, have 16 rebounds in the game), and Sacramento’s Michael Smith on January 14, 1997 made four free throws for his only points in a game against Indiana when he played 43 minutes without taking a shot from the field. He also grabbed nine boards in that game.